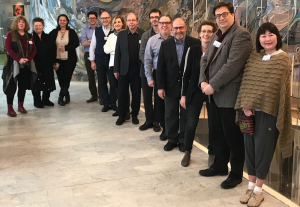 The Coordinating Council of Audiovisual Archives Associations (CCAAA) brings together representatives of all major associations in the field of audiovisual archiving. Chairs and other representatives meet each other on an annual basis at the UNESCO headquarters in Paris, this year on 8-9 March. FIAT/IFTA’s president Bríd Dooley and Secretary-General Brecht Declercq reported on FIAT/IFTA’s key activities of the year and discussed recent and future CCAAA projects and events, including the World Day of Audiovisual Heritage, the Archives at Risk initiative, the Joint Technical Symposium and the CCAAA website, as well as the usual CCAAA business. The meeting was chaired by Rachael Stoeltje of FIAF, the current Chair of the CCAAA. More information about the meeting and CCAAA’s initiatives can be found here. 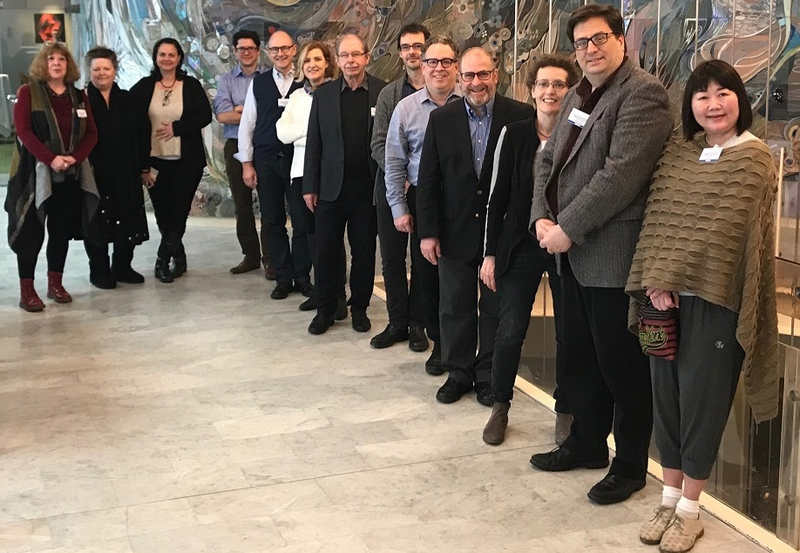 From left to right: Sue Malden (FOCAL International), Laura Rooney (AMIA), Rachael Stoeltje (FIAF), Brecht Declercq (FIAT/IFTA), Pio Pellizzari (IASA), Bríd Dooley (FIAT/IFTA), Kurt Degeller (IASA/UNESCO), Davíd Iglesias y Franch (ICA-PAAG), Toby Seay (IASA), Dennis Doros (AMIA), Catherine Lacken (CCAAA), Matthew Barton (ARSC), Irene Lim (SEAPAVAA).